These dalmatics are excellent. I'm proud to use this design for my personal diaconal vestments. I already owned two of these dalmatics, and I have recently been gifted the rest of them to complete a set. I would recommend them to brother deacons in a heartbeat. Outstanding value and beautifully made. Wears very well and is quite elegant. We will be ordering more. Ars Sacra always provide an excellent service. I ordered two of these dalmatics, a Violet and a green. One will be worn at Mass this morning for the first time. My only quarrel with the dalmatic instead it is just a little tight around my belly. I ordered my dalmatics based on the size of the alb I also ordered, which fit around my waist perfectly. 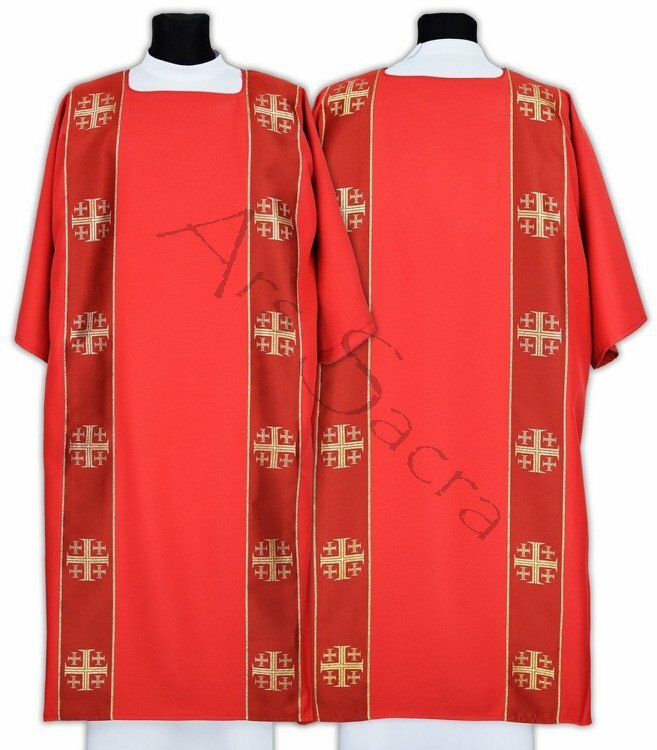 I would suggest that Ars Sacra consider making their standard dalmatic size only slightly larger. Our Parish has multiple deacons and any of those may not feel like they could wear this dalmatic as well. I will be wearing this dalmatic for the first time at Holy Mass this morning. It is a beautiful piece. My only quarrel with it is that it is a little tight around the belly. I would suggest that Ars Sacra consider making their standard sizes only slightly larger. I ordered my dalmatic based on the size of the alb I ordered, and that alb fit around my waist perfectly.